Awning windows haves top-hinged sashes that swing outward from their frame. 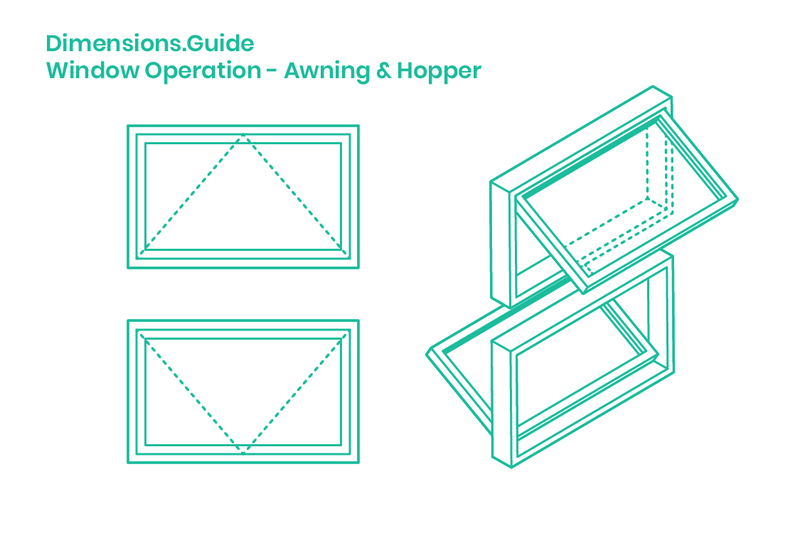 Hopper windows haves bottom-hinged sashes that swing inward from their frame. Both variations of window types allow for direct ventilation when open and equally have low air leakage rates due to their sashes pressing tightly against the frame when closed. Like casement windows, the entire window face can be opened. Variations on awning and hopper assembly include screens to control breezes, and the choice for either vertically stacked sashes or meeting with a stile.